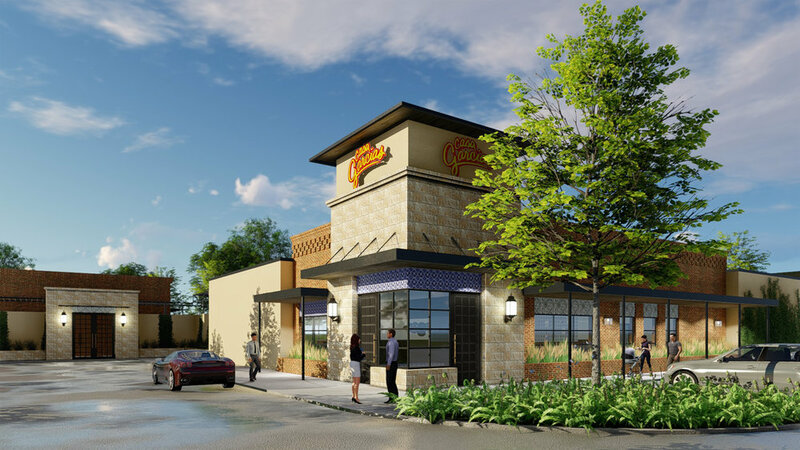 Casa Garcias Mexican Restaurant & Cantina’s newest location in Manor, Texas is a 6,801 sf ground-up building that features a 1,551 sf outdoor patio and 1,334 sf pavilion that overlooks a small body of water. Our interiors department assisted the Casa Garcia team with material selections and purchasing. The restaurant anchors the new Shadowview Lakeside retail center that LEVY provided full architectural services for.